With NHS England having curbed prescriptions of headlice treatments and other minor ailments, are you prepared for some difficult conversations? In March, NHS England published guidance advising GPs to “curb prescribing” of OTC treatments for certain conditions. Instead, it wants GPs to encourage these patients to manage their minor ailments themselves, as they “lend themselves to self-care”. The 35 conditions (see the full list here) included headlice, which NHS England argues is “a minor illness and suitable for self-care and treatment with items that can easily be purchased over the counter from a pharmacy”. It estimates that curbing prescriptions of headlice treatments may save the NHS up to £600,000 every year. With the return to school looming, pharmacies could see a rise in queries about these treatments – and difficult conversations with parents who must now pay for headlice products they received in the past for free. In areas where a minor ailments service exists, the option for pharmacies and patients should be clear. However this is not always the case, says Nat Mitchell, pharmacist and director of JWW Allison & Sons Ltd in Cockermouth, Cumbria. Mr Mitchell says he has refused to supply headlice products “on numerous occasions” for “clinical reasons”, and limits the supply of treatments under the scheme. In its OTC prescribing consultation earlier this year, NHS England acknowledged that “headlice products are expensive, as you have to treat the whole family”, and noted the “need to consider the ability of some groups to pay for the treatment”. Ade Williams, superintendent at the C+D Award-winning Bedminster Pharmacy in Bristol, says this is an issue he frequently encounters. “Some people will come into the pharmacy and need the treatment, but just won’t be able to afford it, even if I offer it at cost price,” he tells C+D. He says he feels this “empowers community pharmacists to be patients’ advocates”. Pharmacy teams also have an important role in pointing out when headlice treatments are actually needed. NHS England advises wet combing as a first-line option, and says “chemical treatment is only recommended in exceptional circumstances”. Farah Ali, general manager at Warman-Freed Pharmacy in Golders Green, London, says combs minimise the risk of headlice reinfestation. “Headlice detection combs are an effective way to remove lice without using chemicals. They can’t remove eggs, but will remove lice and so can be helpful to prevent reinfestation if used regularly. Perrigo is supporting pharmacists with a “comprehensive back-to-school marketing programme” for its Lyclear Treatment Shampoo. The four-week TV campaign will feature the “new and improved” shampoo, and runs from August to September. It will be supported by a new Lyclear website, which has been developed in response to requests from schools. Lyclear will also supply educational material to pharmacies, including a training guide, wall chart and point-of-sale items. Launched in March, Lyclear Treatment Shampoo contains “conditioning agents that wash hair while also eliminating headlice and eggs, removing the need to use traditional shampoo after use”, the manufacturer claims. Each bottle contains enough formulation for up to four treatments and, as it is a non-pesticide, “headlice are less likely to develop resistance”. 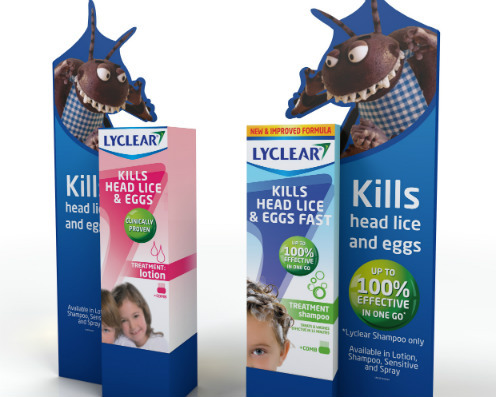 “With this campaign, we want to educate pharmacy teams, school staff and parents on the most effective ways to treat headlice,” Laure de Brauer, head of marketing of ‘get well brands’ at Perrigo, says. 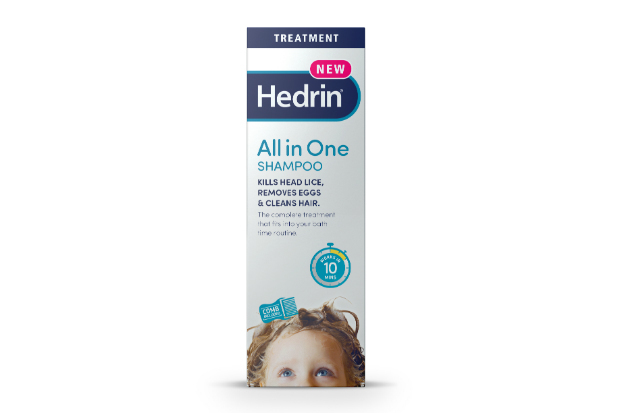 Thornton & Ross has launched Hedrin All-in-One Shampoo, which it claims “can kill lice in just 10 minutes” and “is twice as effective as combing alone”. The shampoo “is allergy certified, pesticide-free, skin friendly, easy to use and doesn’t have a nasty odour”, the manufacturer says. This makes it “an obvious choice for quick and straightforward headlice treatment”, Thornton & Ross adds. The launch coincides with Hedrin’s mission to “take the drama out of headlice”, and “reinforces that headlice do not need to be stressful to deal with, if you follow the right advice and use the correct products”. The company will also run a national TV, press and digital campaign to support the new product launch. Why is this child at risk from her headlice treatment? Which weapons still work in the war against headlice? Have you had any queries from parents about changes to headlice prescriptions? How will I handle parents still expecting free headlice treatments? By offering them headlice treatments that can be brought. I personally feel it is my job to inform people what is available, and beyond that is not my remit. Explain that the treatments are still available, in exceptional cases. Guidelines say there are exemptions including for patients where the clinician believes they will struggle to self-manage because of medical, mental health problems or ‘significant social vulnerability’. ***This comment has been deleted in line with C+D's community principles***. Tell them you are living in a real world?